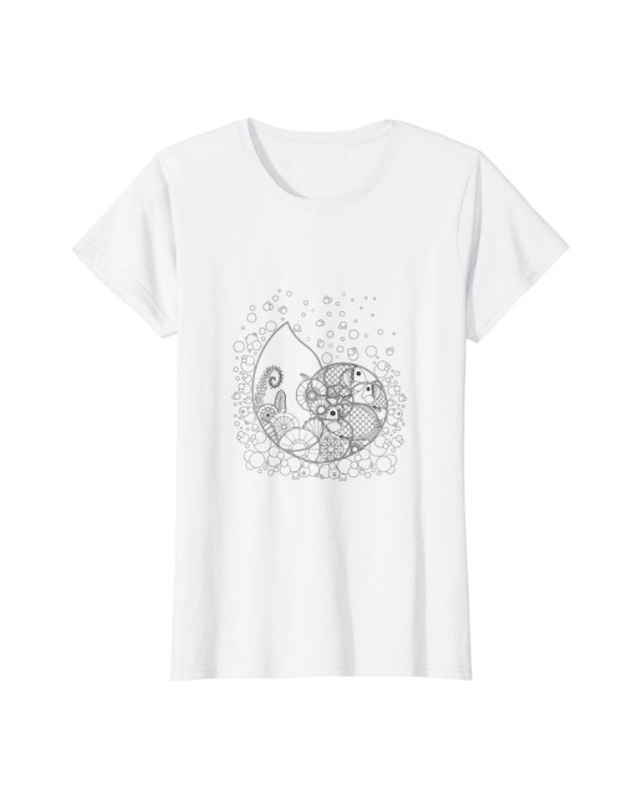 This black and white illustrated t-shirt was inspired by my own obsession with the nautilus shell. I have always found the nautilus shell and the variety of artwork featuring the shell fascinating! This tee features a intricate black and white illustration of a nautilus shell holding an ocean scene of tropical fish and fun ocean plants. Great graphic T-shirt for anyone that loves nautilus shells and black and white artwork. This would also make as a great gift for that special someone in your life. Fun design for Dad, Mom, daughter, or friend. Ideal gift for Christmas, Valentine's Day, Mother's Day, birthday, anniversary, retirement, or any time you want to make someone feel special!